Ultra soft and cosy pyjama set (includes long sleeved top and long leg pant) in Blue. Ultra soft and cosy nightshirt in Blue. Stunning black short sleeved top with contrasting embroidered lace shoulders. 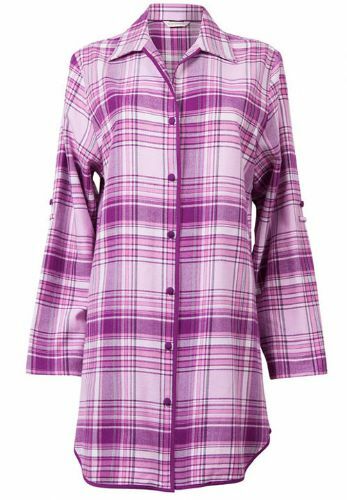 Ultra soft and cosy nightshirt.